Refurbishing an 80s strategy classic. 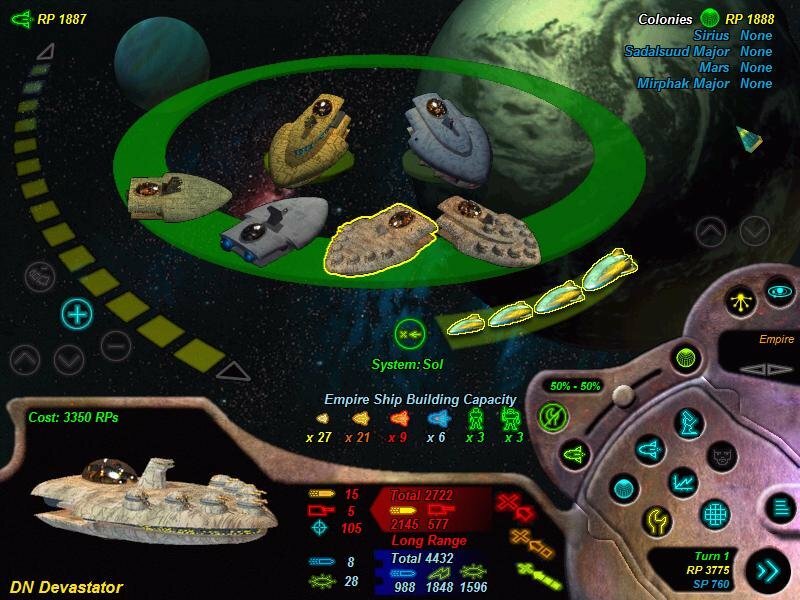 Ask a newer gamer to name a title from the world of the space empire “4X” (explore, expand, exploit, and exterminate) strategy games, and most might be able to name MicroProse’s Master of Orion (if they could name that—this has been a woefully neglected sub-genre). “Old timers,” however, would be just as likely to bring up SSG’s classic Reach for the Stars, a game you might have played back in the days when processors were 8-bit and when 64K of RAM seemed like a lot. 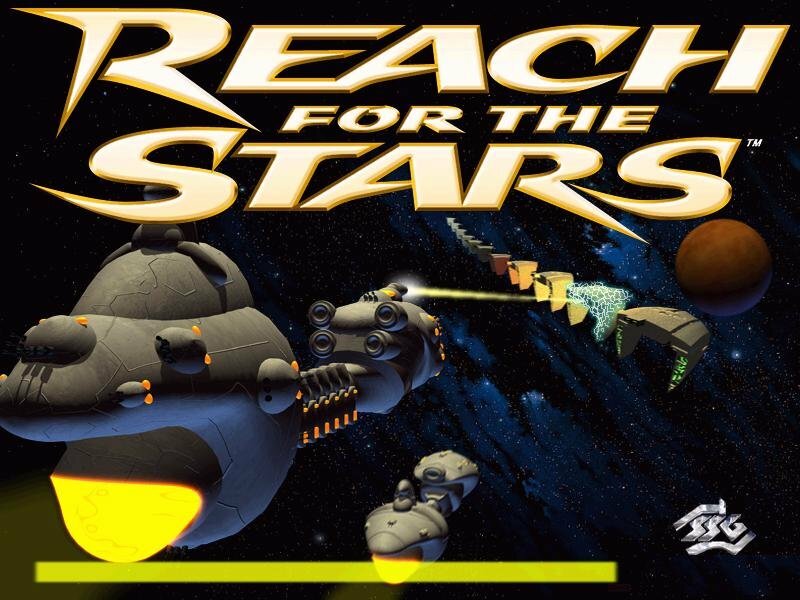 SSG then announced that they will be publishing a remake of Reach for the Stars. However, those couple of years have passed with nary a peep from said publisher about the game—no showings, no press releases, barely even an acknowledgement of its existence. Fans of the original were left hanging, and one can imagine what developer SSG was feeling. Then, the day before the ’99 Electronic Entertainment Expo (E3) started, out came the word: the game has found a new home with long-time strategy and war publisher SSI (not surprising as SSI’s parent, The Learning Company, will be publishing another SSG game via its Red Orb division). We got an early look at the game at E3, and bring you this initial report. 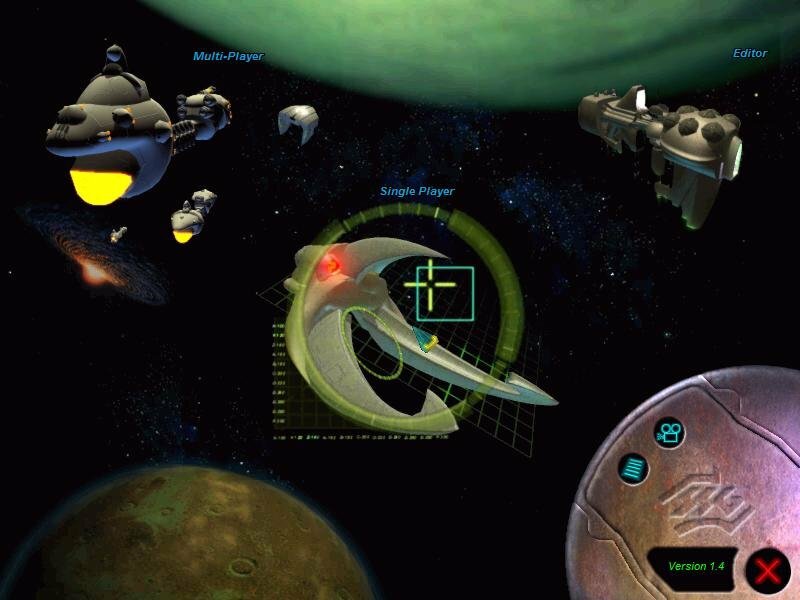 The remake of Reach for the Stars (called… “Reach for the Stars”) is described as an “epic strategy, turn-based game”—two terms to get the hard-core strategy fans anxious. The basic idea behind a 4X game of this sort is to grow a massive empire across multiple star systems. 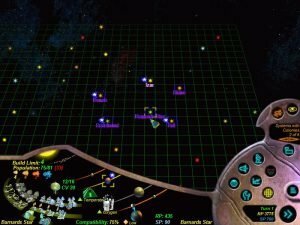 You conduct research and diplomacy, design and produce ships, and order fleets out to explore… and expand, and exploit, and exterminate. Often a game of this sort starts you out in control of a planet and commanding maybe a few low-tech ships, and from there you must grow your massive empire across a lot of space and dozens (if not hundreds of turns). Reach for the Stars comes with six general categories of species, but these may be modified heavily to create many more actual types. 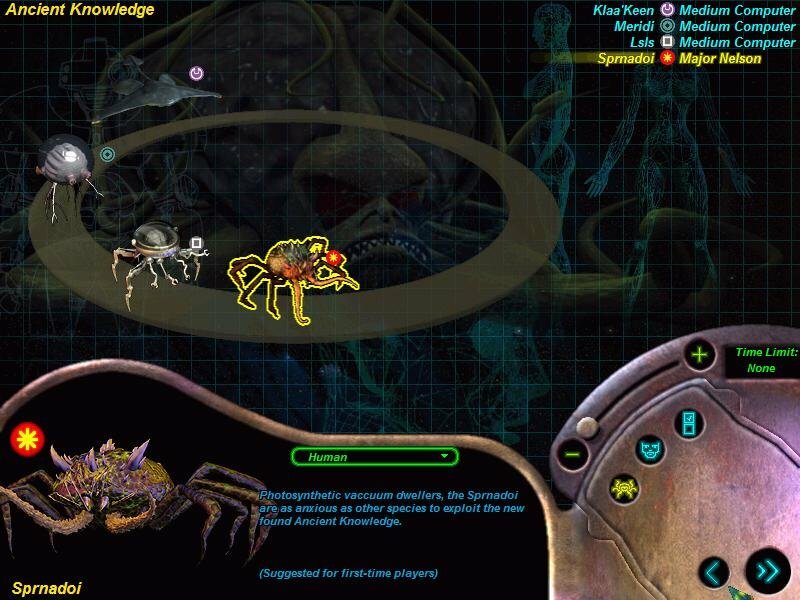 Species differ in the technology tree they follow, will have different combat and economic advantages and disadvantages, and, when played by the computer, will display different personalities. Some species prefer certain kinds of planets to others, which means species may end up sharing space in a planetary system (assuming they get along). This creates an interesting dynamic between the species. 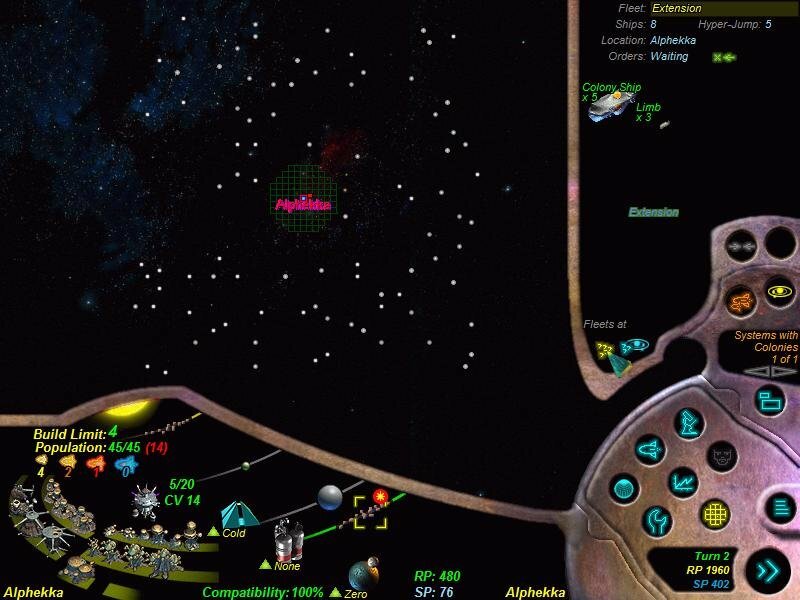 The goal when playing Reach for the Stars is to eventually conquer the universe, first by diplomacy, but eventually by combat or other kinds of coercion. Combat, diplomacy, research, and industry are all tools you must master in order to succeed in this turn-based strategy game. 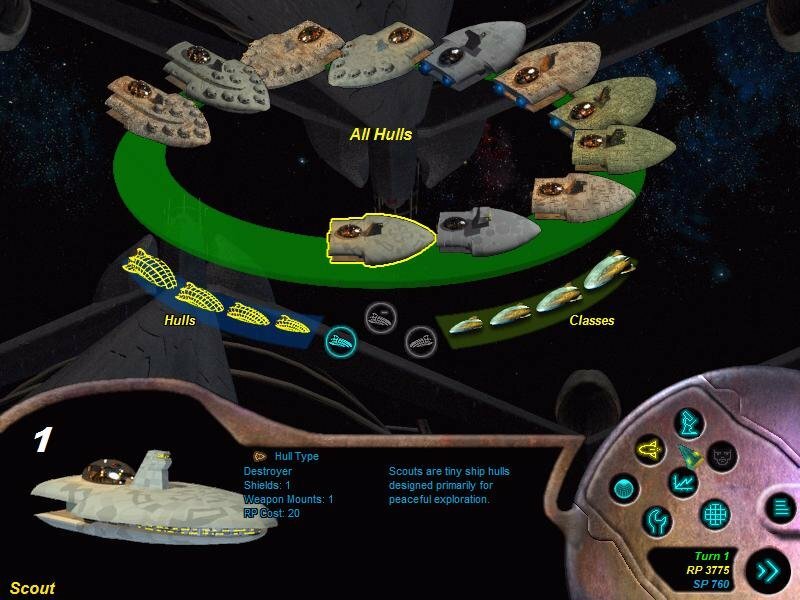 Resource points and science points are the two forms of currency, with the former paying for ships and buildings and the latter used to conduct research. 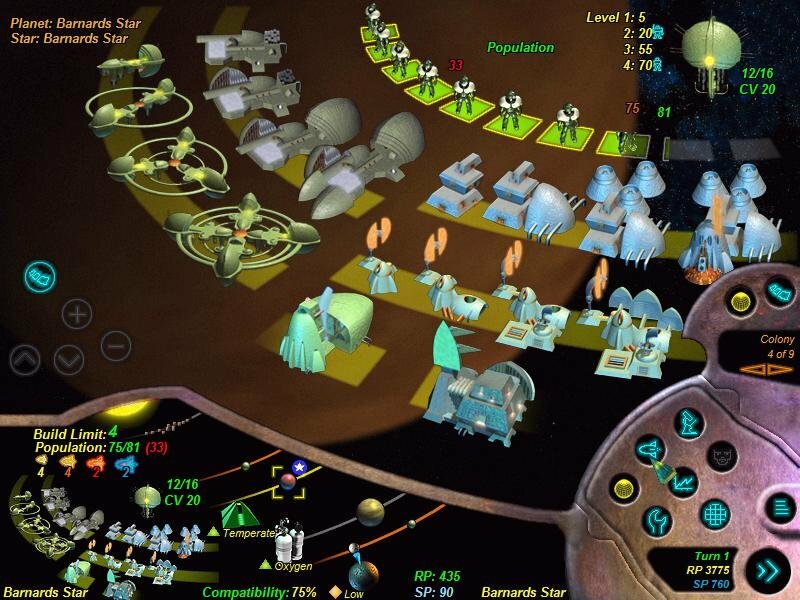 These funds are generated by your colonies, which the player establishes on suitable planets. 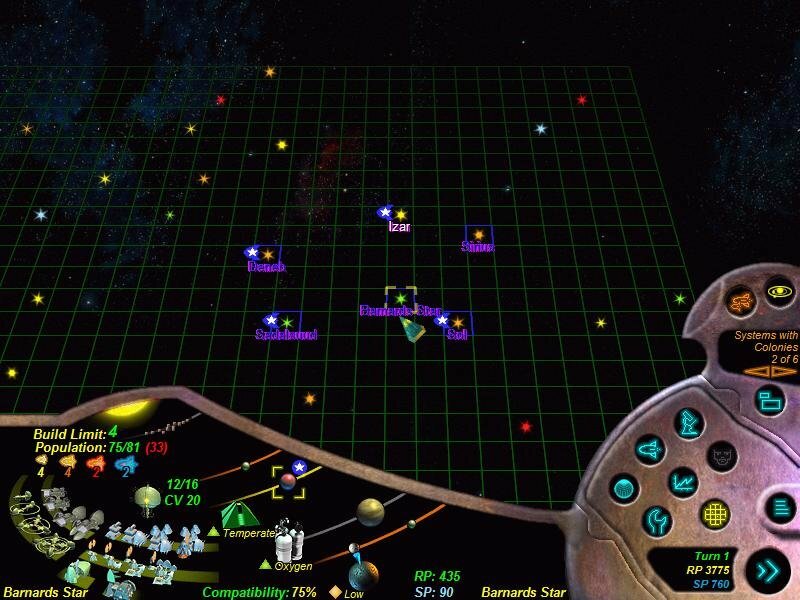 Planets occupy solar systems, which are where all the real action in the game occurs. You can best colonize planets that are compatible to your species, but even if they’re not, you can still build settlements there – much the same way as humans can build a martian colony without having the luxury of breathing the air. 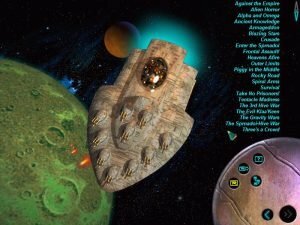 Ship design is one of the game’s strongest points. At any time while playing, the player can access the ship design screen and create a new vessel. The first step is to select the hull size, which determines how many guns can be mounted on the ship as well as the initial armor rating. 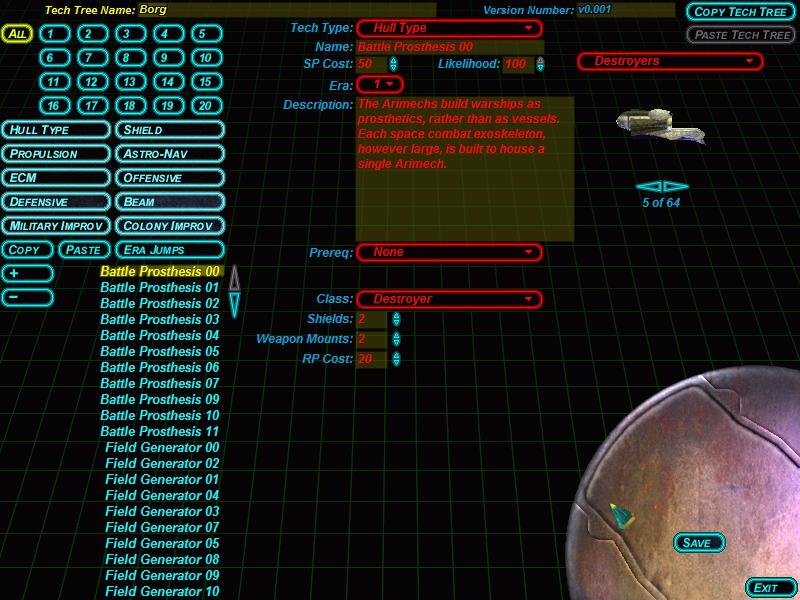 After the hull is chosen, the player is brought to the armament screen, which illustrates the available slots where weapons can be loaded. These slots can be filled with offensive missiles, defensive missiles, and beam weapons. The learning curve is fairly steep at first. The best way to get a feel for the game is to just jump in and keep playing. A tutorial in the campaign gives some general pointers, but the real way to learn is by tinkering around in the scenarios yourself. The 76 page manual covers about as much as it can be expected too, but there are still subtleties that can only be discovered through experience.